Being a weather bug for pretty much all of my life, I’ve definitely had my share of home weather stations, some of which I really enjoy owning and think are worth the money. Of course, you may be wondering why I keep track of the weather on my own when I can simply turn the local news or Weather Channel on and let the pros make the forecast for me. Well, I do watch the local meteorologists on TV, and yes — I love the Weather Channel. But I also enjoy watching the weather data feed come in from my home weather station, which is just outside my residence and mounted to a pole. What’s more, that data comes right from my yard — not some distant weather station 10 miles away, where the temperatures and overall meteorological conditions are quite possibly vastly different. 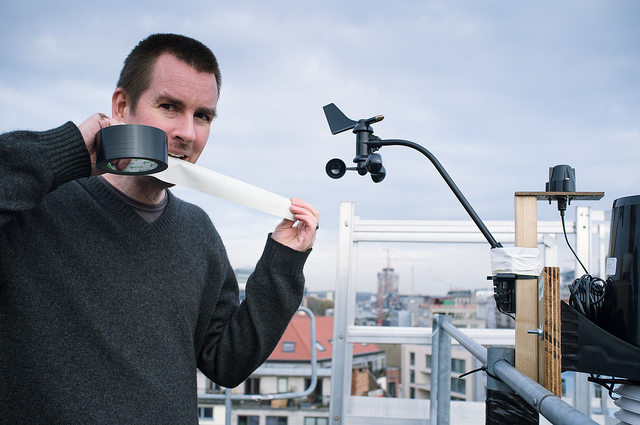 I’ve done plenty of research on which home weather stations are the best buys today, and have owned my own, too. 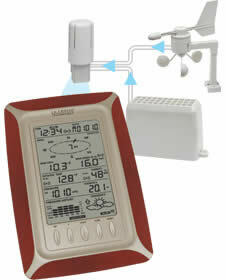 Below are 3 home weather stations that in my opinion and experience are definitely worth the money. 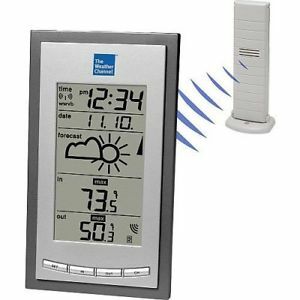 These weather station reviews may even help you think of some great gift ideas for the weather watcher in your life! This is the priciest model on my list of home weather stations, but it is also my favorite because it offers the most comprehensive array of features. Additionally, this $300 weather station offers trending — so you can see how weather conditions have changed in your area over the previous 24 hours. Plus, this personal weather station utilizes wireless technology, so the receiver and transmitter can communicate up to 1,000 feet apart. Mounting the Davis Instruments Vantage Vue can be a little tricky if you live in an area with a lot of trees, shade, or buildings around — such as in the case of an apartment community. If you want the most accurate results possible, you’ve got to mount the weather station about 6 feet off the ground and in an area clear far away from trees, sheds, fences, and other obstructions. Like the other models listed here, this home weather station uses wireless technology, so you won’t need to worry about snaking wires through small holes in the wall to connect your outdoor transmitter to the indoor receiver. 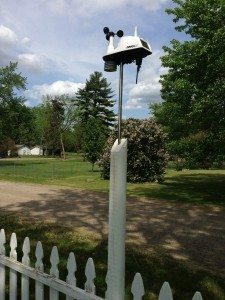 As applies to all weather stations that collect wind and temperature data, you’ll need to mount this one in an area free of obstructions like fences, trees, and other structures. This is the first electronic home weather station I ever bought. While simple in design and function, it offers temperature and barometric information — which, for a lot of people, is all the info they really want to know. The La Crosse Wireless Forecast Station — which costs about $40 — may be just the right model for you if you don’t need the bells and whistles, such as rain gauges, wind speed and direction, and humidity stats.